This is the story of the Georgetown Boys told by one of the boys, himself. Having lost everything, the most precious thing remaining to them was the memory of their families and their heritage. 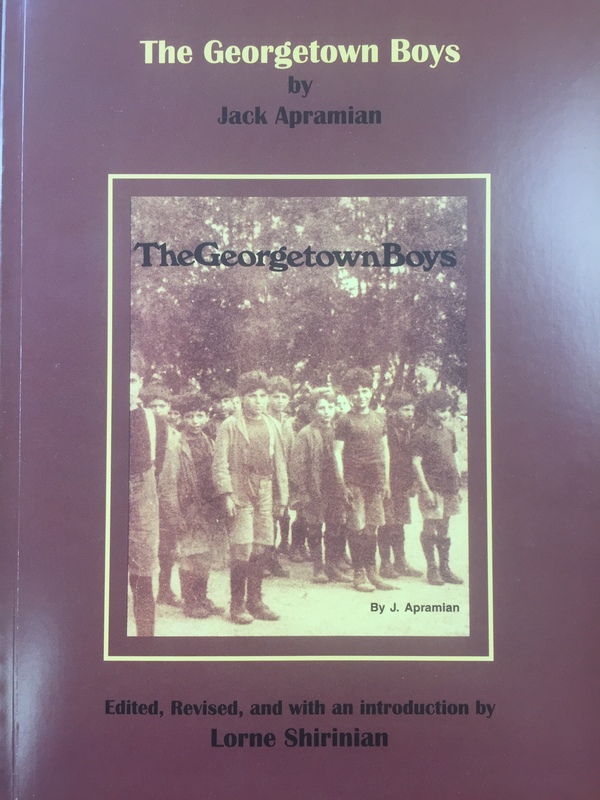 Based on original documentary research, interviews, and first-hand experience, Jack Apramian gives detailed insight into the daily lives of the boys, the challenges they faced adapting to their new country, and how they fared. Their story is told with a sense of humour, humanity, and history. An account of the dark and light moments that made up these rescued boys’ reality and the resilience of children, this book is essential to our understanding of multiculturalism’s best intentions. Prof. Lorne Shirinian has edited and revised the late Jack Apramian’s classic book and provided a new introduction, setting the story in its historical context, both Armenian and Canadian. He has included previously unpublished documents and photos, enhanced the photographs, and added appendices of a list of the Georgetown Girls and information sources on the Georgetown Boys.